Attend more team events: My instructor works really hard to make everyone who rides at her barn feel like they are on a team. Which is awesome! Riding has always felt like something I was doing for myself, alone- but not because I necessarily WANTED it that way, it was just how it ended up feeling. I always had good rapport with my previous instructors and even other riders back when I had group lessons but it never felt like a “team” maybe it’s an Eventing thing… I dunno. Here my lessons are private so it is really nice to be included- I think I could learn a lot from some really skillful riders at this barn! Plus, as a transplant to the area, it never hurts to meet new people who you already know enjoy some of the same things you do. Learn more about showing in general: This goal works a bit in conjunction with the previous goal since I will only really be able to get show exposure with this barn. As a team we will be attending Rolex in April which will likely be my first full glimpse of the equine triathlon and I can’t wait to observe, enjoy, and learn everything I possibly can in those three days. The other part of this goal would be to actually see the inner workings of a show- I’d very much like to learn more about everything that goes into taking a horse to a show: trailering, braiding, prep, clothing, grooming, test patterns, scoring, the lingo (I want to know all the right words for all of this crap) etc. I want to see what the guest barns are like at local shows; I want to feel the pre-ride nerves and tension; watch the hectic warm-up ring; help someone find their number; celebrate a good score. Put the CAN in canter: Punny? no… okay, what I’d truly like to accomplish here is to take the anxiety OUT of the canter. 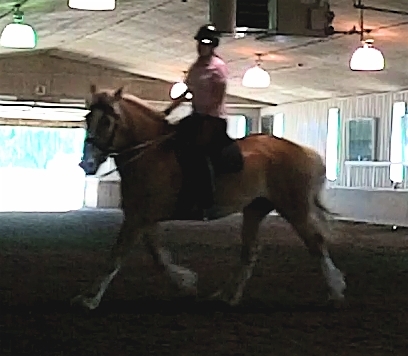 As a beginner, I certainly cannot aim for mastery, and I cannot promise beauty but I can work on my own confidence riding this gait and I think I’ll be able to see a “measurable” difference, then perhaps the beauty will sort itself out. 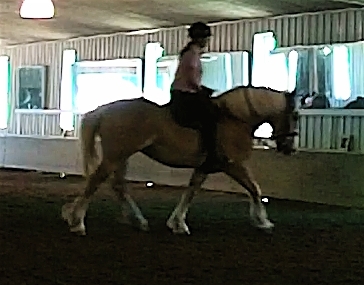 I’ve already made a TON of improvement here thanks to two very patient teachers but I would like, by the end of this year, to feel little-to-no anxiety asking for the canter. I want it to feel just like any other transition. So that is the list this year! There may be a few wildcard goals that join the list later on since I am unsure on a few details. Obviously I did not include a goal to do any showing myself and that is because I really don’t know if that option is available to me. Louie’s owner shows him already and I certainly don’t want to get in the way of that but maybe she’d consider letting me at least tag along to watch so I could tackle one of my goals! I also didn’t include a specific goal regarding leasing/buying a horse since it seems that leasing isn’t an easy find around here and buying comes with its own set of complications and questions I am not yet ready to answer. 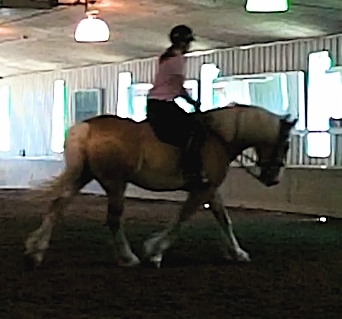 I had a really stellar New Years Day lesson last night and I cannot be more grateful for everything riding related that 2013 brought me and excited for what this year will bring. What a great way to start the new year! I wish you all a very Happy New Year and I wish you success in the things you are working towards in 2014! Here are a few stills from a video I took of a recent ride. We have improved a lot in the past three months! I know I am getting more sensitive while I am riding which allows me to more effectively respond and make changes to my own position. I can tell I am beginning to take a more active role in riding and noticing a little more everytime how the subtle changes I make can affect my horse. This is what I desperately wanted to understand just a year and a half ago and simply couldn’t make the connection. Teaching muscle memory takes time and I am building those connections everytime I ride. I am continually grateful for the opportunity to work with Kate and the patient instruction we receive. I was hoping to have some video or pictures from a recent ride but I haven’t had my camera until this week and to top it off, my instructor canceled my lesson last Friday. There was a clinic at the barn this past weekend and she had to go pick up a guest instructor from the airport. 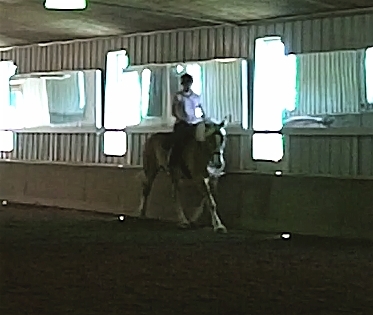 Instead, Kate and I tooled around the arena ourselves just working on a few things and having a nice relaxing ride. We worked on transitions and some bending and then I tried to do a bit of leg yielding to the walls. 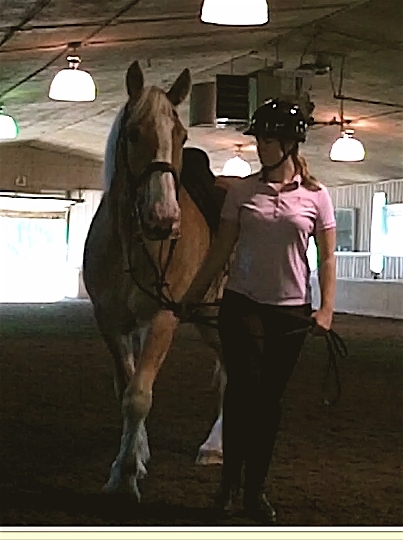 We did quite a bit of trotting and everything felt pretty nice but I can definitely tell I haven’t had a lesson in a while and I am sure we would both benefit from a refresher with my instructor. This entire week has been so hot and so humid that I’m not sure Kate will get ridden at all. Her owner went out tonight and hosed her down and told me the poor thing looked just miserable. The heat index today is around 115 and tomorrow might even be worse. We Can Ride will be likely be canceled tomorrow but if it isn’t…oh boy will it miserable out! I am going to try to ride Kate on Thursday so I might have more to show this weekend. I’d like to reflect for a moment on a previous post describing my New Year’s resolutions with regards to riding. I am not known for sticking to my resolutions which is why I am taking this moment to appreciate my progress in hopes that it will fuel my desire to continue reaching the goals I’ve put out there for myself. By the end of this month I will have officially accomplished two of my New Year’s resolutions! I will be riding in my first schooling show at Featherbrook Farm on March 26th. 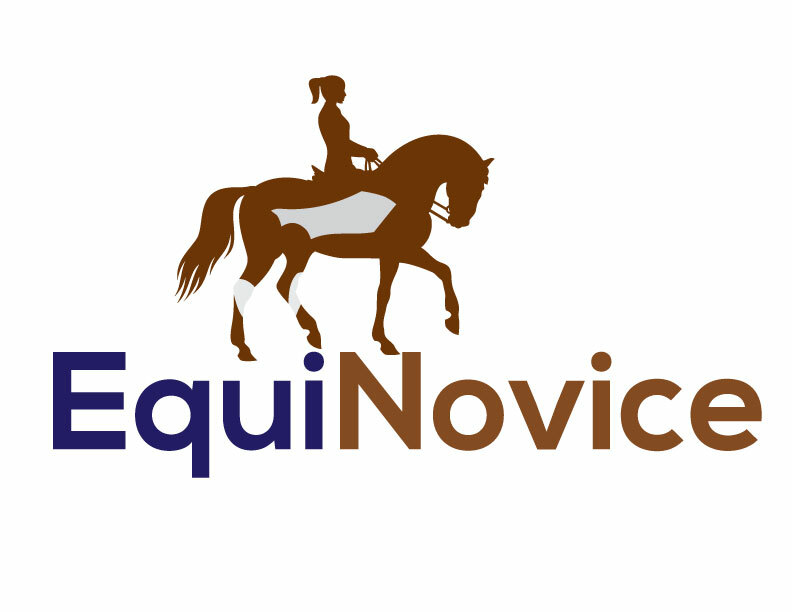 I am planning on at least doing Intro C and maybe even one of the training classes. I am nervous and excited but I told myself I would ride in the next show and I am sticking to it. In a way, it will be a nice cap on the year of riding I have spent there and will help me ease into the “break” I’ll be taking from FBF while I concentrate on riding Kate for the next 5 months. Speaking of Kate, leasing a horse was one of my New Year’s resolutions as well! Granted, I was originally planning on leasing one of the horses at FBF this year, but when Kate came along I couldn’t pass her up. We are a superb match. It goes without saying that I often feel like a Belgian trying to do dressage…so now Kate and I can actually be that together! I am learning so much and I am so grateful for all of the wonderful teachers I have. I’m going to go ahead and give myself a pat on the back for following through on my plans and for having the courage to take a few risks and make changes in order to grow. If you have done some growing or achieving lately too, I’d love to hear about it!